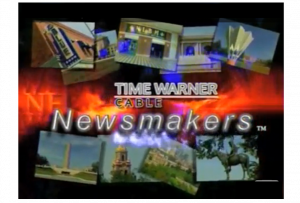 I had the pleasure of being interviewed today by Time Warner Cable for their News Makers series. The interview was centered on social media with a focus on how our local Social Media Club here in Kansas City can help people become familiar with what social media is all about and how one can begin to use it. As is typical with on camera interviews…once the camera light goes on the interview takes a totally different path and journeys down unpaved roads. Therefore, much of what I prepared in the copy below wasn’t actually discussed, LOL! I didn’t want the prep work I did to go to waste so thought what better way to use it than to share it with you! I realize many of our blog visitors are social media die hards so if nothing else, maybe this will help you prepare for your own news interview or better yet, share it with your readers who may just be starting to adventure in to the online world. I also touch on some social media trends that you may find interesting. Please keep in mind the purpose was to help me prep for the interview so it is a bit rough and unedited. You may also be interested in the resource links at the end as there is some pretty cool information and stats if you are a geek like me and in to that kind of thing. The interview will be shown locally in KC on ch. 113 KC On Demand and CNN Headline News throughout September…once we get the DVD we will be sure to share with you! Why/How are people using social media? People are using social media for 3 primary purposes…to help evaluate a decision, to learn about something new, and to interact with others. They want to connect with not only people they know but with people all over the world 24X7. To evaluate. Social media is a faster and more trustworthy way to find out information..from people you KNOW. Yes, we ask people about what to buy or where to eat most often but we are starting to use social media to evaluate even more important life decisions such as health care. Facebook allows you to quickly post a status..such as I’m looking for a new dentist..anyone have suggestions? All of a sudden you have this trusted network of family and friends letting you know the best dentist in town. More than 60 million consumers interact and discuss their health care online. To learn. There is nothing like a recession to motivate and inspire people to learning something new. You mix in technology advancement and improved accessibility and the social media boom is a natural result. More people have access to the internet than ever before..almost 240 million internet users in the US alone. Wikis, forums and sites such as LinkedIn with their questions/answers section provide people information on just about any subject imaginable. To interact. People like to talk to people…especially people who have similar interests. Twitter is great for interaction! You basically answer the question, “What are you doing” in 140 characters or less. It can take a little bit to get used to but once the comfort level kicks in it can become a valuable tool for you. I typically recommend people start by going to search.twitter.com and type in any word or topic you are interested in and hit enter. You will see all the tweets that are out there on that topic and the people who are talking about it…this is how I initially found people I wanted to follow and figured out how others were using twitter. It is a biological fact that people need people and social media makes it easy to formulate and grow those relationships that can make a difference in both your personal and professional life. I think what is really interesting is that 1 out of 8 married in the US met via social media last year. Social media removes barriers such as geography and time…you work, you have kids, you may not be able to interact socially until after the kids go to bed or before they get up in the morning…here is this interface that has people on it around the clock and there is someone out there who wants to talk to you about the same stuff you want to talk about. The stereotype is social media is similar to your Trix cereal commercial…”Silly rabbit, Trix are for Kids” but that couldn’t be farther from the truth. Obviously, yes young adults are big social media users, in fact Gen Y now outnumbers the Baby Boomers and 96% of the Gen Y crowd has joined a social network. However, the fastest growing population on Facebook? Yep, the baby boomers! Every demographic and industry is represented in social media…my company has a client in the agriculture industry…you would be amazed at the number of online forums targeted to the farmer and just how many farmers are literally talking to other farmers during their day right from the cab of the combine. As for companies, we are finding that businesses are no longer asking if social media is worth their time, they are now wanting to know the best practices and how best to get a return on their investment from participating in social media. Social media is more than just a marketing tool, in fact 80% of the companies in the US are using LinkedIn to actively recruit for open positions. We are experience change at a record pace…Erik Qualman from Socialnomics presented a great look at historical technology adoption… Years to Reach 50 millions Users: Radio (38 Years), TV (13 Years), Internet (4 Years), iPod (3 Years)…Facebook added 100 million users in less than 9 months…and is now at over 500 million users…it would literally be the 4th largest country in the world! What we are seeing right now is a growing focus on mobility location based services such as 4-square and Gowalla. These services allow you to “check-in” at a location…for businesses it is great free advertisement as most people automatically alert their Facebook and Twitter friends every time they “check-in”. For the consumer they can benefit as more and more businesses are offering discounts, freebies, and other gifts to every person that checks in. We are also seeing the growing use of SMS text programs…if you recall the Red Cross saw huge results following the Haiti disaster by soliciting donations through texting…we are now seeing businesses adopting this very successful method such as Blue Cross and Blue Shield who are targeting the 20-something crowd to consider health insurance by texting a request for a health insurance quote. Integration is becoming more important, especially for those of us who are participating on a variety of social media platforms. Finding ways to bring everything together in one place is becoming a priority as we try to improve our efficiency and minimize time spent online. For companies, there is a need to wrap all the social media conversations together around their brand identity so their consumers can quickly connect brand to buzz. Finally, the last few weeks have been buzzing about QR (quick response) codes…these are the things that look like a bar code but typically in a square that you can scan with your cell phone. These codes can create quite the interactive event for the users connecting the offline to the online for almost a 360 surround type experience. How can people learn more about Social Media? Our organization, Social Media Club of Kansas City is a great place to start. We have almost 1,400 members and host a variety of educational, development, and networking events. We have a breakfast the first Friday of every month at Kansas City Café (except September due to labor day we will be on 9/10) and in September we will host an evening event focused on non-profit organizations and how they can benefit by using Social Media. In October, we will host an event discussing privacy and legal concerns with Social Media. You can learn more at http://smckc.com. Thanks for posting your “notes” – lots of good basic stuff. Going to take your advice and “share with my readers” – my focus on my blog is for local folks I know IRL to be able to see some of the thinkers and smart kids in social media to help push them over into using and managing the tools for their own benefits, and this post is wonderful for a 101 kind of experience. – thanks again.